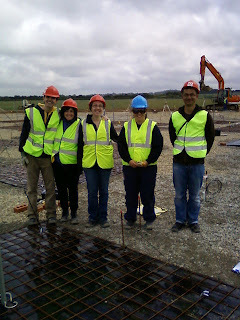 As he has already posted about, Rob Fender (right), head of the LOFAR-UK project has been spending some time in Chilbolton this week. Rob even pitched in and helped get some aerials built. Thanks Rob! We look forward to hearing about your visit with Queen B in the Netherlands.